A group of residents would like to see this portion of Edward Street closed to motorists, but the Police Commission wants a further study. The Police Commission has put the brakes on a request to close the portion of Edward Street that bisects Veterans Park. Chad Czalpa, an Edward Street resident, recently brought the request first to the Parks and Recreation Commission and then to the Police Commission. He presented petitions signed by more than 100 residents and park users supporting the idea of closing of the street in the area from the bocce courts to the tennis courts. But the Police Commission, for now, has adopted the recommendations of the traffic survey: Install signs alerting motorists to pedestrians; install fencing or barriers to define the playground, bocce courts and baseball field, and conduct a traffic study over the course of the summer. The commission will also seek written recommendations from the Department of Public Works regarding traffic and other park issues, and also wants a history of the park. Police Lt. James Perez said a recent traffic count, over a 24-hour period, found that 324 cars used Edward Street to go from Reef Road into the neighborhood behind the park, and 370 cars left the neighborhood and headed to Reef Road. Over the last three years, there have been two accidents on Edward Street, both closer to the Penfield Road side of the park, he said. "It's a vital emergency road for us," Perez said. "We would never recommend closing it." Perez added, however, there are some remedies to concerns about traffic in traveling through Veterans Park. "There are no signs on the street right now," he said, letting motorists know they are driving through a park. Another thing that can be done, he said, is to install crosswalks, as well as fencing in the playground. "We need to define the area a little bit better," Perez said. Czalpa said the neighbors appreciate the commission's approach to studying the issue. "It's a unique situation to have a trafficked street cutting through a town park," he said, "so estimating the safety impact will take time and coordination between a number of town departments." 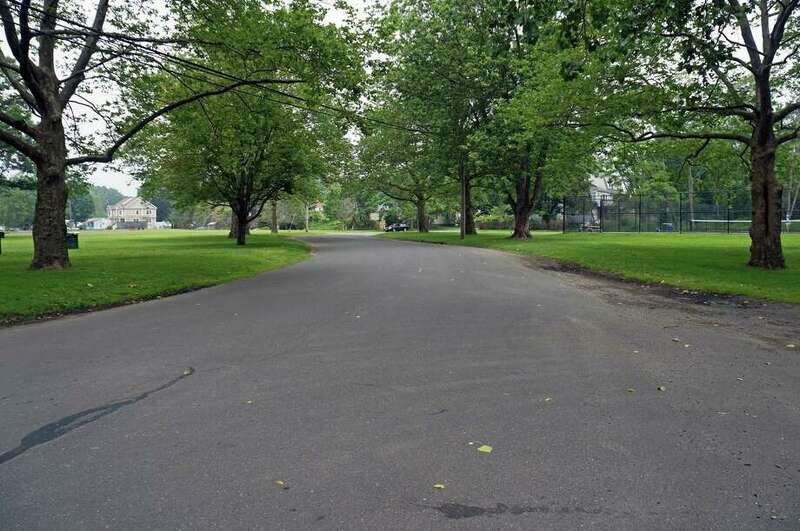 He said he's hopeful the neighbors and town officials can find a workable solution "which provides a car-free park that all of Fairfield can enjoy." Veterans Park is the only one in town that has a public road going through it. The 8.2-acre park is the site of a softball field, six bocce courts, two tennis courts and a playground. Czalpa noted that nearby Sherman School's enrollment has increased about 20 percent since 1998, meaning there are more neighborhood children playing in the park.